Buyer personas are at the heart content marketing. Buyer personas are detailed profiles of a company’s idea customers, the ones most likely to want and need a company’s product or service. The idea is that marketers must absolutely understand the language these people use, the sources of information they trust, the pain they feel and the tasks they absolutely must achieve in order to be successful. Only then will you be able to create website content and offers that attract, engage, and convert them with your marketing programs at better conversion rates. A buyer persona goes beyond demographic information to understand a buyer’s personality and psychographic characteristic–their business needs and personal needs in order to market to a whole, real person as much as possible. In order to build the most effective buyer personas, you need the input of the sales team. These are the people with the “street” knowledge of your target customers. They know how the buyers articulate their needs, what they care about inside and outside of work, what their challenges and aspirations are, and what types of language and behavior they respond to. This input is much more difficult to get without the kind of day-in-day-out customer experience that salespeople have experienced. In the B2B world, it’s also important to have an ideal company persona, which can also be created in partnership with the sales team. You can have the right buyer persona from the wrong company. For example, if your product is an enterprise HR system and your buyer persona is an HR administrator, an HR administrator from a mid-sized company is not a part of your target audience and shouldn’t move through your sales funnel as a sales qualified lead. Here’s another example. If your company makes a great prospecting tool and your target is VPs of sales, you don’t want to target companies that sell entirely through channel partners. Targeting the right kind of companies–by industry, company size, location, structure and more. When marketing and sales work together, good things happen. In addition to helping with buyer and company persona development, marketing should work closely with sales to define lead qualification. Understanding when sales would want to be notified about a contact’s activity is invaluable in helping craft marketing programs that will find and deliver the leads that sales wants and that are most likely to convert into customers. In the ecommerce world, for example, a classic sales qualification is when someone visits a site’s pricing page three time. That’s a signal that someone is strongly considering a purchase, probably comparing products and pricing, and a great point for a sales person to offer assistance. B2B qualifying criteria might be when someone downloads a review comparing the leading solutions in your market. It is critical to listen to the sales team to understand what they look for when qualifying leads, and doing what you can to replicate that process online. Marketing has changed. Because so much of the buying process happens through online research, marketing needs to be expert at the engaging buyers at the top and middle of the sales funnel. This is when people are searching for solutions and deciding what company they want to contact then they are ready to purchase. 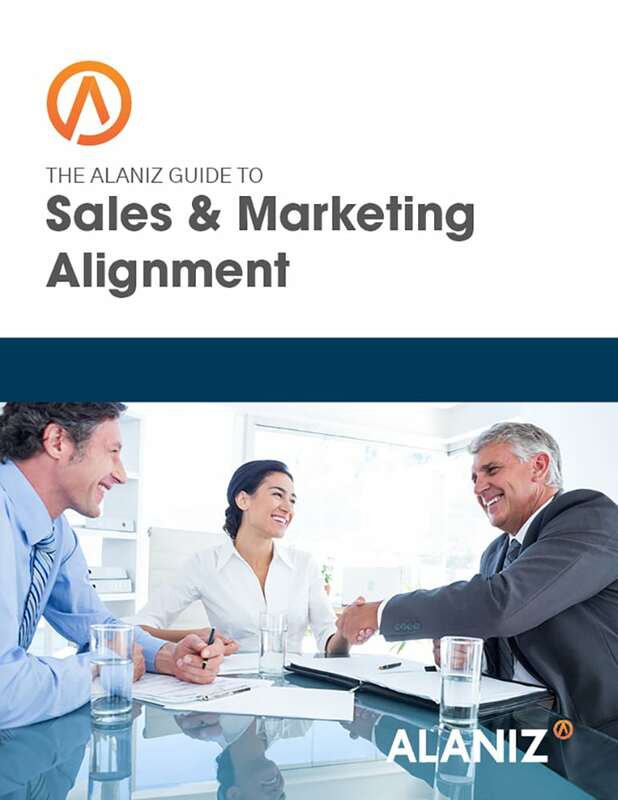 Sales get involved much later in the process than in the pre-digital marketing world, and it’s important to be able to qualify and direct the right leads to sales at the right time, as efficiently as possible.